Lily looked at the vastness of the plains, full of cattle, and then up at the sky without a cloud in sight. Fresh off the train from New York City, Lily Carteret arrives in picturesque Wyoming only to discover that her wayward father has lost his cattle ranch to a lowly cowboy in a card game! 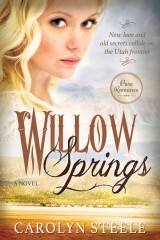 Determined not to let her father’s folly ruin her life, Lily becomes a teacher on the ranch. There she learns that the handsome cowboy, Jack Sinclair, has some wild predictions about the upcoming winter—that it will be unlike anything Wyoming has ever seen. Lily must either cast off her skepticism to work with Jack or risk losing everything she holds dear. 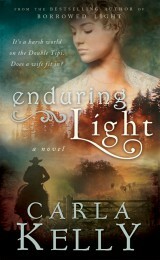 This latest novel by bestselling romance author Carla Kelly is sure to please new and old fans alike. Stirring, tense, and filled with swoon-worthy moments, it’s a delectable read that will leave you begging for more! 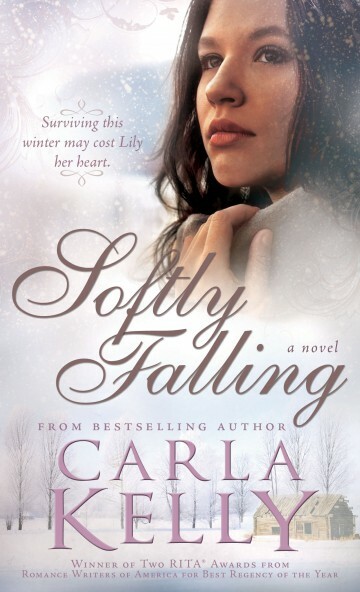 Carla Kelly is a veteran of the New York and international publishing world. The author of more than thirty novels and novellas for Donald I. 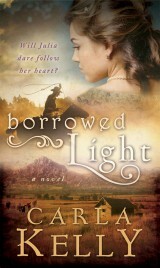 Fine Co., Signet, and Harlequin, Carla is the recipient of two Rita Awards (think Oscars for romance writing) from Romance Writers of America and two Spur Awards (think Oscars for western fiction) from Western Writers of America. She is also a recipient of a Whitney Award for Borrowed Light and My Loving Vigil Keeping.